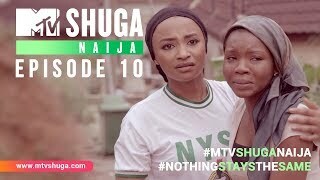 MTV Shuga: Down South (season 2) begins one year later with Sol returning to Zenzele after spending time in prison. His return sets off events that explore topical themes like toxic masculinity and the root causes of gender-based violence. Meanwhile Reggie, Bongi, Q and Ipeleng are navigating their way in the downtown hub of Braamfontein. As their lives collide with new characters, they come to terms with young adulthood, their relationships, as well as the challenges of self-acceptance.